Walter Isaacson began his career in journalism at The Sunday Times of London and then the New Orleans Times-Picayune/States-Item. He joined Time in 1978 and served as a political correspondent, national editor, and editor of new media before becoming the magazine's fourteenth editor in 1996. He became Chairman and CEO of CNN in 2001, and then president and CEO of the Aspen Institute in 2003. He is the author of American Sketches (2009), Einstein: His Life and Universe (2007), Benjamin Franklin: An American Life (2003) and Kissinger: A Biography (1992), and he is the co-author, with Evan Thomas, of The Wise Men: Six Friends and the World They Made (1986). He is the editor of Profiles in Leadership: Historians on the Elusive Quality of Greatness (2010, W. W. Norton). On October 24, 2011, Isaacson's authorized biography of Apple Computer co-founder Steve Jobs was published by Simon & Schuster. The untimely death of Steve Jobs generated great interest and the book Steve Jobs became an instant international best–seller, breaking all records for sales of a biography. 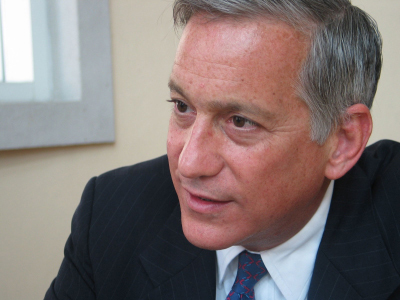 Isaacson is the chairman of the board of Teach for America and of the Broadcasting Board of Governors. He is on the boards of United Airlines, Tulane University, Overseers of Harvard University, the Bloomberg Family Foundation, and the Society of American Historians.